Sometimes, it’s just nice to treat your home, and I love to work on architectural illustrations, almost as much as I love drawing children! Satellite dishes, unsightly wheelie bins, the weeds you didn’t get round to pulling up yet- all easily left out from your final piece. 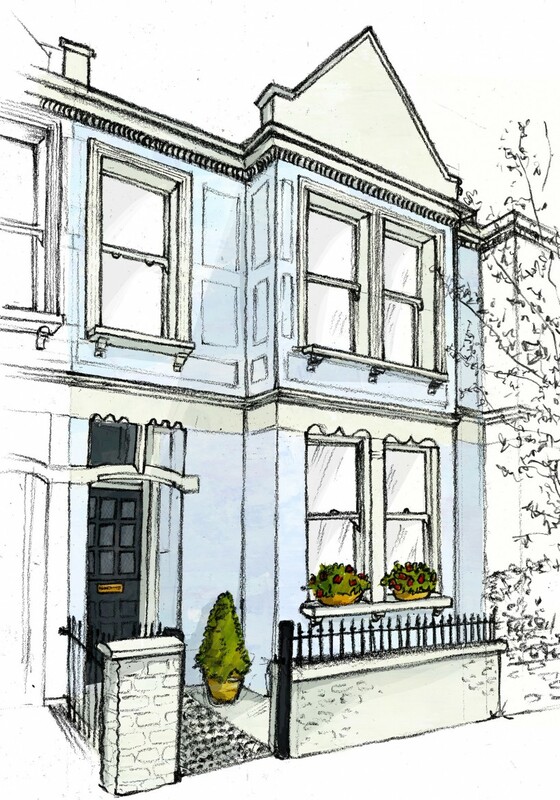 Not that this beautiful blue house suffered from any of the above, and the colour was a delight to reproduce! But if you do have things you would rather change about the appearance of your property in it’s illustrated form, Heavens to Betsy’s the word!